Heavy-duty 9⁄64″ staked piano hinge adds to the robust construction. Drawn one-piece seamless door of 22 gauge type 304 stainless steel with a satin finish. 1.0 gal. (3.8 L) waste capacity. 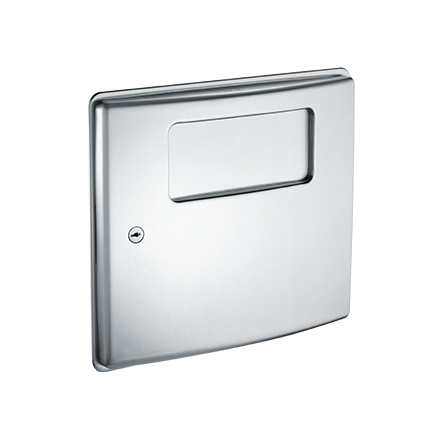 Same as 20470 but mounts through partitions up to 1 1/4″ thick. Expandable steel waste can ensures a perfect fit for thicker partitions.